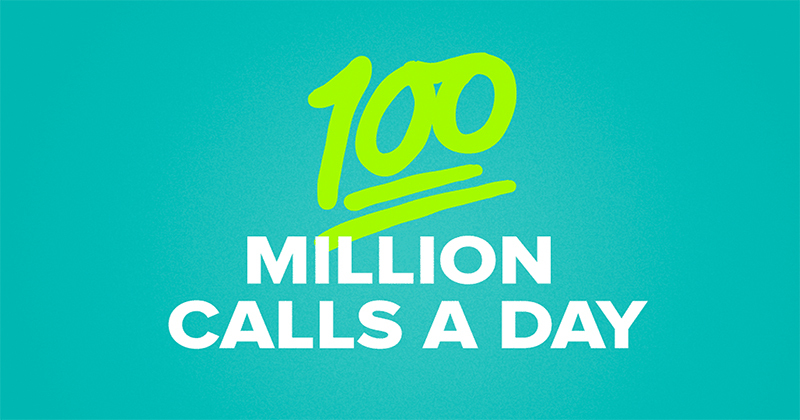 WhatsApp has announced on their official blog that its App users are making 100 million calls a day. That’s over 4 million calls per hour, over 60 thousand per minute and over 1 thousand calls per second. Surely that’s a huge amount of calls made within just a small period of time. Millions of people use WhatsApp to stay connected with family and friends. While many might use it to just text messaging App, this news is surely big for the WhatsApp company. WhatsApp has been working very hard to improve its App for making Voice Calls, Video Calls. They recently released an App for Windows and Mac OS users in order for them to be connected with their loved ones. Although we aren’t sure how many messages are sent, or how many times WhatsApp status are being updated in 24 hours yet. Surely that would be a big number also. We will update this news article as soon as we receive more updates.